Batman is well-known for his arsenal of cool gadgets, like the Batmobile, batarang, grappling hook. Now you can add state-of-the-art costume to that list. 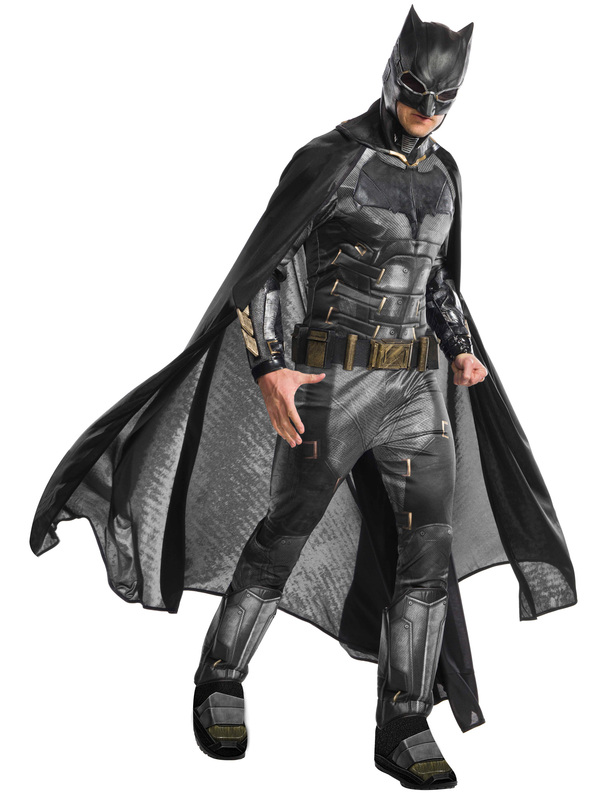 This muscular jumpsuit has attached 3D gauntlets, boot top, cape, belt and mask. The detailed suit leaves no doubt that Batman is gearing up for a major battle. Perhaps with the Joker? Or something bigger brewing with his Justice League cohorts? Either way, Batman is prepared, and you can be too when you masquerade as the caped crusader. Look to the skies for the Batsignal and join the nighttime fight against evil. Outfit is perfect for Halloween, Cosplay events or any costume party. Or, dress up and be the hero at a kid's birthday party. You'll win much praise for your amazing getup.